Start a new Embroidered block of the month with “FlowerDance” by Smith Street Designs. Each month you will receive pattern instructions and embroidery designs to complete the next step. Diane will go over the following month’s block and make sure you have whatever help you need. 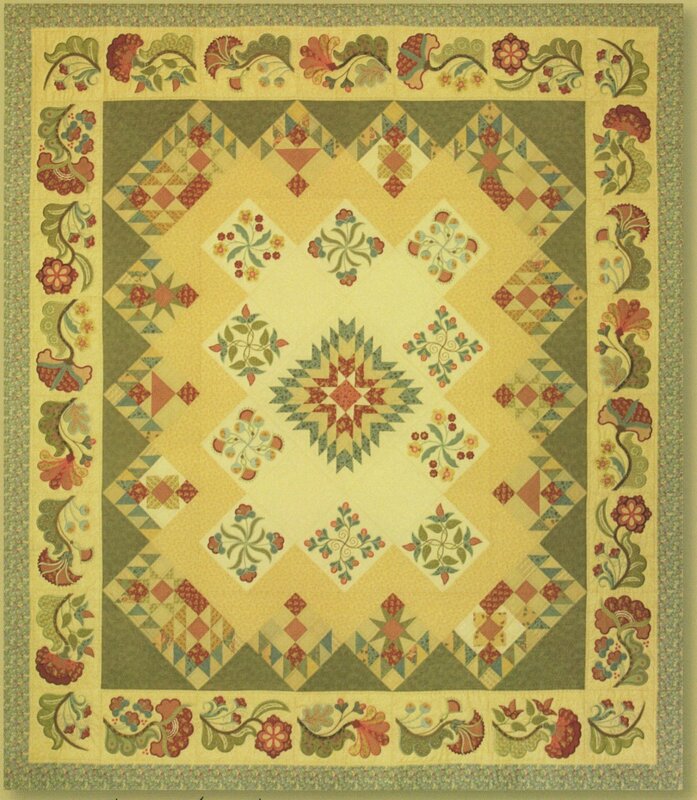 Various finished sizes are available depending on your preference, up to the largest size quilt 84" x 96". The quilt includes machine embroidery as well as traditional piecing. In addition to the pattern for the quilt, each month includes instructions for smaller coordinating projects using that month's embroidery designs! Embroidery design cd includes all embroidery machine formats. The designs require a 200 mm x 300 mm hoop. Split designs are included on the cd for those who may have hoop restrictions. CD Purchase required. Kit available on request. Requirements: CD purchase required. Kit available upon request.